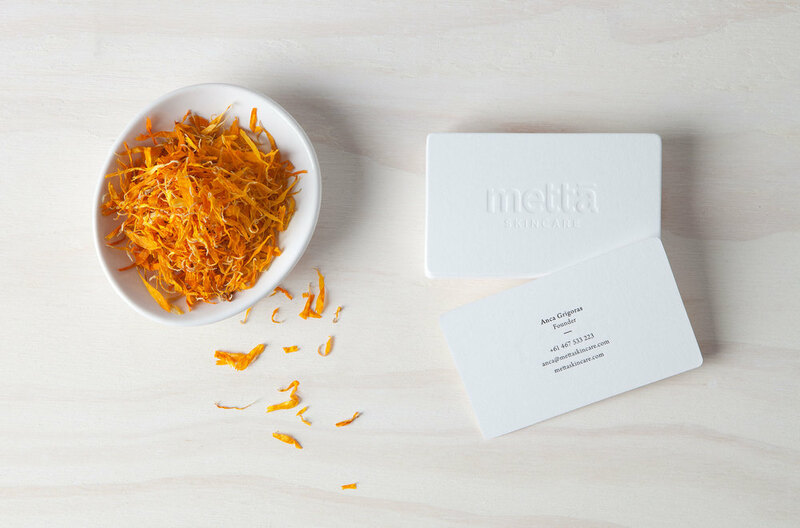 Mettā Skincare was launched in 2013 by Anca Grigoras, a Formula Botanica graduate, in Melbourne, Australia. 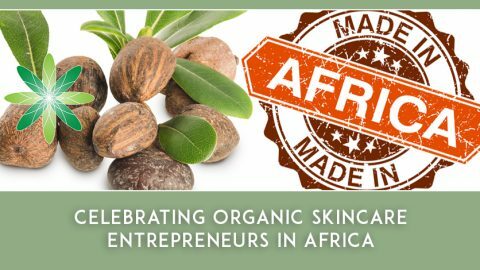 Anca has created a range of natural skincare products with an environmental and social consciousness for you and your skin. Using 100% natural ingredients and established relationships with local and international artisan producers, Mettā Skincare is more than just a product range. It is a conscious lifestyle choice that will leave you feeling good about your skin and the earth. Formula Botanica is so incredibly proud of Anca for launching such a beautiful business. We caught up with Anca recently to ask her a few questions about Mettā Skincare and her top tips for our students. Hi Anca, how long did you study with the school and which courses did you follow? I have been studying with Formula Botanica since mid 2013. 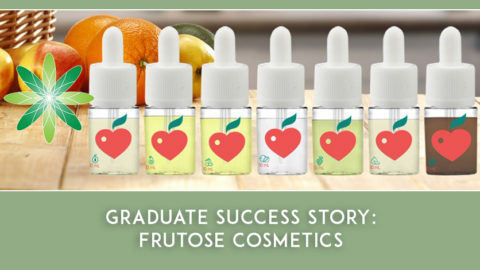 I completed the Diploma in Natural Skincare Formulation and am currently doing the Certificate in Anti-Ageing Skincare Formulation. The idea for Mettā Skincare products emerged 6 years ago when I was doing research for a work project aimed at reducing chemical exposure in the workplace. I was very concerned to learn that most people use in excess of 100 chemicals on their bodies daily, with skin and body care products being the main culprits. As I have always been passionate about healthy living, I then started researching and formulating my own products based on natural, organic, food-grade ingredients. After spending over a decade working in the corporate world I also wanted to develop a business which creates value by doing good for all its stakeholders: customers, suppliers, communities, our planet. Mettā Skincare was then officially launched at an organic and natural trade show in late October 2013. Your branding is beautiful and the photography on your website is stunning. Can you tell us a bit about the inspiration behind the name and the branding? Mettā, the brand’s core concept, means loving kindness. This is an ancient style of meditation that encourages loving-kindness with yourself and the world around you. Regular practice fosters a sense of belonging, a pure connection with other living beings and a compassionate understanding of the interconnected world. Mettā Skincare shares much with this style of meditation. 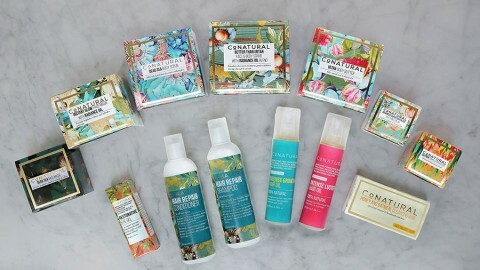 It is a range of skin and body care products created with an environmental and social consciousness. 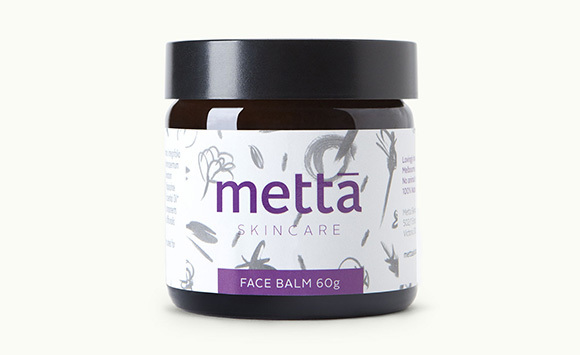 Lovingly handmade in Melbourne using 100% natural ingredients ethically sourced directly from local and international artisan producers, Mettā Skincare is more than just a product range, it is a conscious lifestyle choice that will leave its users feeling good about their skin and the earth. I feel very privileged to have worked with a fantastic branding and design team who was able to bring these concepts to life in a meaningful way that really resonates with our customers and has made a great impression on everyone who has come across Mettā Skincare. We’ve made sure that the Mettā philosophy is reflected in all aspects of the brand: from earthy colours, to the hand-drawn motifs representing the natural ingredients and handmade production, through to recyclable glass packaging and labels printed on an entirely tree- and acid-free paper made from limestone. The website photos were inspired by food photography as most of the ingredients used in the products are food-grade and sourced directly from farmers. The start-up range consists of 5 basic multi-functional moisturisers: lip balm, face balm, hand balm, body butter and body oil. Each product is based on a unique oil & butter combination which maximises their skin nourishing benefits and also provides great value as only a very small amount is needed with each application. Which is your favourite product in your range? This is such a hard question! My skin really loves the Face Balm, especially during the colder months. It contains Sea buckthorn extract which gives the balm a really intense and vibrant yellow colour and together with all the other botanical ingredients combines into a rich floral aroma. It makes me think of a beautiful meadow bursting with wildflowers in full bloom in the middle of summer. At the moment most of my efforts are focused on bringing Mettā Skincare to as many people as possible – we have lots of public appearances scheduled throughout this year at various markets, fairs, shows etc. Skin and body care products are very much about a sensory experience and I want to give as many people as possible the chance to try Mettā Skincare products. I have also received many requests for expanding the range so in my spare time I am working on creating more skin care products, as well as more body care products for a complete spa-at-home experience. 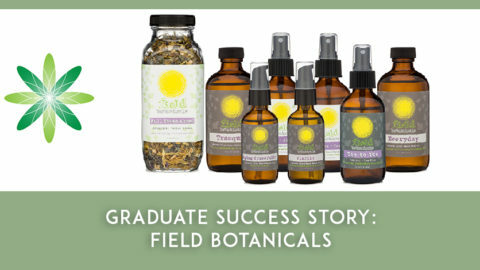 How did your studies with Formula Botanica help you? 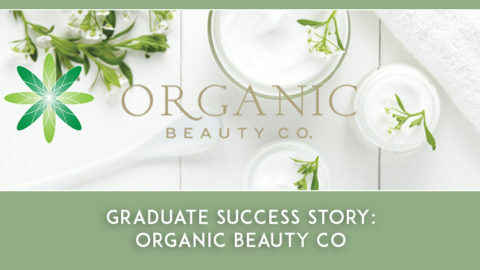 Training with Formula Botanica has helped me broaden my skills, knowledge and expertise in this area and provided the solid foundation I needed to be able to create professional products and start my own skincare business. The quality of training materials and the level of student support are truly excellent. I would highly recommend any of the Formula Botanica courses to anyone wishing to learn about natural and organic skincare formulation. If you’re thinking of launching a commercial skincare brand do as much research as possible about the applicable requirements in your country. Personal care products are usually a tightly regulated area in most countries, so make sure you know what’s required of you before you can start selling your products to the public – and be prepared for a lot of work to comply with everything! Define what makes your products unique and ensure your branding really reflects this. Don’t skimp on branding – your products are excellent, but it’s the branding that really defines how they are perceived by the public and this can open a lot of opportunities for you. Believe in yourself and what your products stand for and remember that as students and members of the Formula Botanica community we are all here to support you on your journey. Thank you to Anca for taking the time to answer our questions! 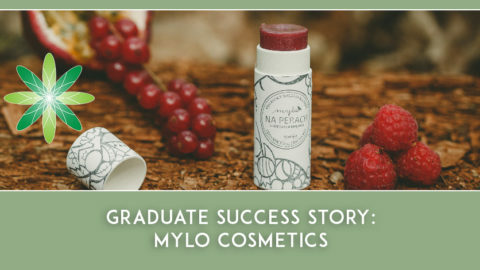 Formula Botanica strongly supports all of its graduates and we are really excited to see Anca take Mettā Skincare forward. 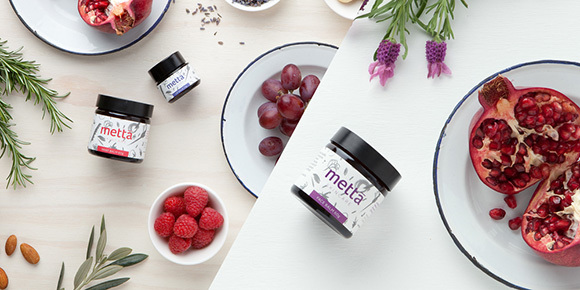 Mettā’s products are more than just natural, they’re about self-pampering and being kind to yourself and to the environment, while at the same time making a positive impact on the lives of other people because of the way the ingredients are sourced and the social mission of the business. 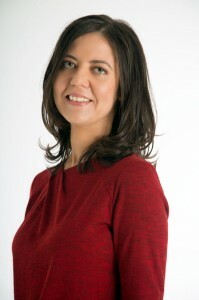 Anca is an inspiration to all of us and we wish her lots of luck in taking Mettā Skincare from strength to strength! We will certainly be trying out her wonderful products and we hope you do too. 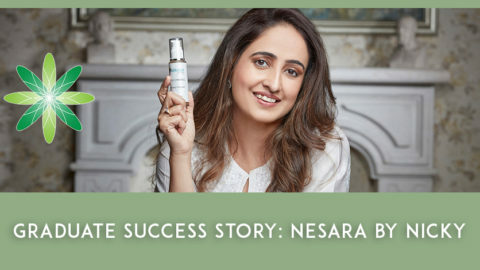 Have a look at https://www.mettaskincare.com to find out how to buy Anca’s products and make sure you follow Mettā Skincare on Facebook too. Credits: Photography by Mark Lobo (www.marklobo.com.au), styling & branding by Pennant (www.studiopennant.com), photo of Anca by Prue Aja Steedman (https://www.prueaja.com/).